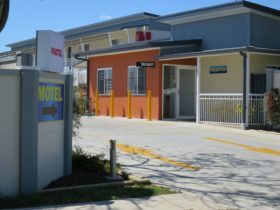 When travelling or holidaying in Gunnedah, have a restful night’s sleep at The Plains Motor Inn. 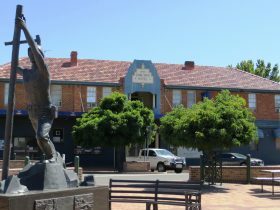 Gunnedah – rich agricultural vistas and breathtaking landscapes. The self-proclaimed koala capital of the world. 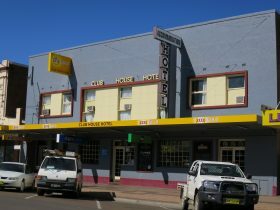 The Plains Motor Inn is located on Conadilly Street, in the heart of town. 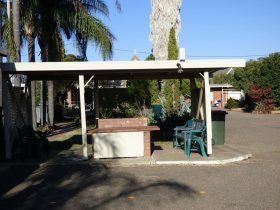 Within easy walking distance to shops, Tennis Complex, Civic Theatre, Creative Arts Gallery, local restaurants, eateries and pubs. 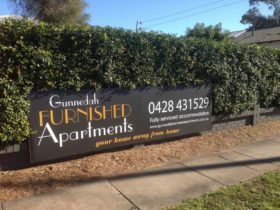 They can provide you with a comfortable nights stay in quality accommodation at an affordable price. They offer three levels of accommodation – Standard Queen, King and Family; Budget Queen; and Queen with either two or three singles – perfect for the large family. 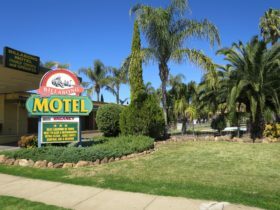 Come in and experience the Plains Motor Inn country hospitality! Accommodation features remote control reverse cycle air-conditioners for heating and cooling, digital high definition 81 centimetre television, free wireless broadband available, tea and coffee making facilities with complimentary tea and coffee, toaster and microwaves in all rooms, ironing facilities, full bathroom facilities with hairdryer, refreshing swimming pool, barbecue area and guest parking.